The Haddonfield Chess Club for Kids is offering kids with an interest in puzzles or games a chance to connect. Sara Blackburn said when her son, William, was attending school in New York City, chess was part of the curriculum, but when they moved to Haddonfield as William was entering first grade, there was a void. Chess wasn’t being taught at Central Elementary School, and the library’s chess club consisted mostly of adults. With her son entering his last year of elementary school, Blackburn decided she wanted to bring chess back into William’s life before he reached middle school. For that reason, Blackburn put her feelers out on Facebook to see if she started a chess club specifically for kids, if others in the area might join in. She said the response was overwhelming. For that reason, Blackburn has created the Haddonfield Chess Club for Kids. Beginners ages 5 to 14 can learn the game at the Haddonfield Public Library on the second Saturday of every month from 10 to 11:30 a.m starting Oct. 14. Kids in the same age range who are already acquainted with the game can come play at Villa Rosa, a restaurant in Haddonfield, once a month on a Thursday night from 5 to 6:30 p.m. starting Thursday, Oct. 26. Blackburn said it’s about more than teaching kids the game. Her hope is the club helps foster friendships. She said her son William, who is autistic, thrived when playing chess because the game doesn’t involve much dialogue for players to communicate. She said the extracurricular offerings at the elementary schools don’t always offer opportunities for students who may not converse easily and who aren’t interested in sports. The club gives kids who may be more quiet or who like puzzles another option, Blackburn said. When Blackburn approached the library with her idea, she said they were enthused and more than willing to offer up the space. Heather Lacey, circulation manager at Haddonfield Public Library, said the library is always looking for ways to invigorate the community to come in. Lacey said when Blackburn told her about a kids chess program, it seemed like a great feeder program for their current chess club, which skews more toward a teenage and older demographic. “I get the sense this is something that would resonate well with folks in the community, and hopefully, it’s an outlet for kids who are not signed up for sports,” Lacey said. With the idea in mind, Blackburn, who does not play chess herself, knew she needed to recruit someone to teach the game to beginners. Lacey pointed her in the direction of Bernadette Hennessy May, owner of Game Friendzy in Audubon. Hennessy May said she jumped at the chance to get involved, and she donated several sets of game boards to get the club going. She said she’s always eager to get kids playing chess because the game involves logic, strategy and sequencing, which are all crucial skills to build. One of the most important things to learn, however, is that losing is OK, Hennessy May said. She said even losing in chess is valuable because it teaches a player what they can do better for next time. “There’s nothing like some good mental competition to make you sharper,” Hennessy May said. Hennessy May said chess is about learning from one another. She said the best way to get better at chess is to play against someone more advanced than you. With that in mind, Hennessy May said she’d be happy to see kids who advance out of the beginner stage coming back to mentor new players. “I hope what happens is that the kids keep coming back and keep learning and keep striving to get better,” Hennessy May said. For both Hennessy May and Blackburn, the club is about making chess accessible to anyone. For the beginners, Hennessy May will be a resource. For those too young to play the game, there will be checkers as a kind of gateway game to get kids started. For the more advanced, it’s an opportunity for kids to meet students from the other elementary schools in town. Blackburn said she’d even be eager to get students from neighboring towns involved. The beginners only events are free to attend at Haddonfield Public Library, and the all levels chess event at Villa Rosa restaurant is free to attend with food purchase. 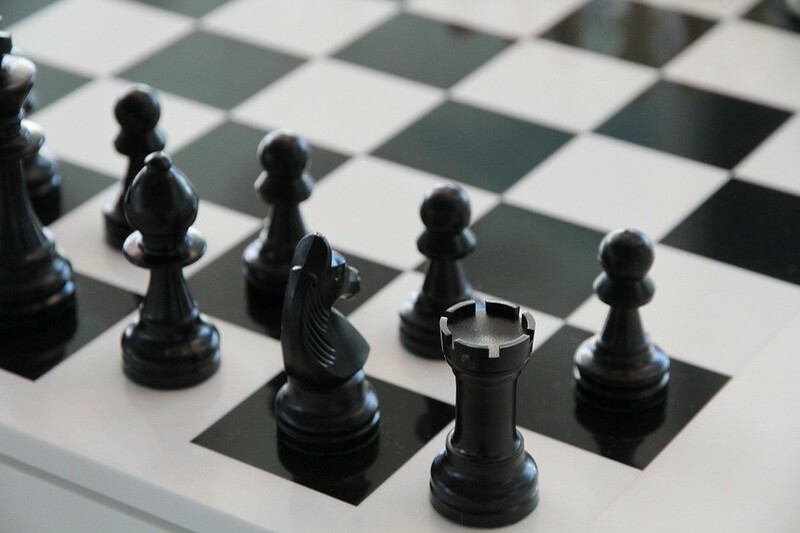 To learn more about the Haddonfield Chess Club for Kids, visit https://www.facebook.com/groups/121720891800504.